Description Explore the ocean and get as much treasures as possible. Various sea creatures will help or harm you. (Just beware of the shark, otherwise you'll lose coins). 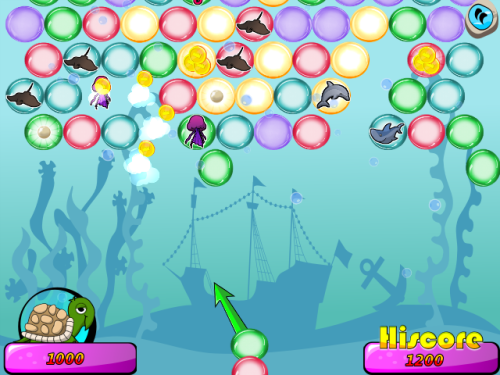 Undersea Bubble Shooter is a variation of the classic game with shooting and collecting balls. The game contains five bubbles to shoot, three special flick balls and several aquatic animals. Each animal has a special ability - so player can get or lose.